With Mindfulness we can observe how we speak, the tone of voice we use and the words we choose. With a little attention (and good intention) we can learn to talk more gently and compassionately to others and ourselves. 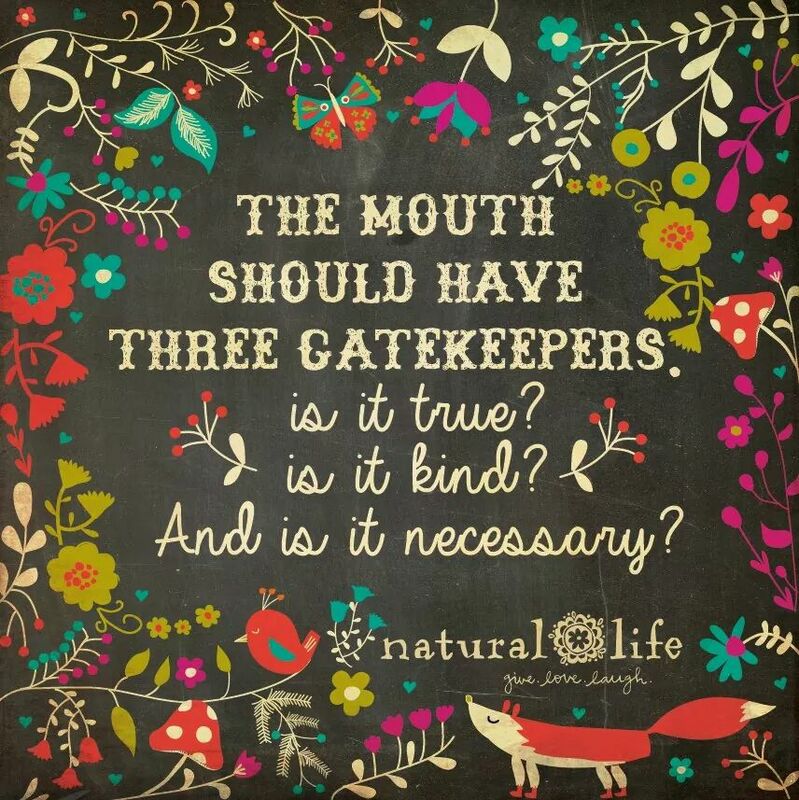 We can ask….Is what I say TRUE? Is it KIND? Is it NECESSARY? I wish I had found this saying, but I glad somebody did. reblogged – a great thing to keep in mind.